O'Sullivan looked set to be stranded on 999 after two centuries in the afternoon session, while a 9-4 lead at the mid-session interval in the evening let him within one frame of his 35th career ranking title. O'Sullivan's attempt at snooker history was not the only talking point of the week as the 43-year-old maverick has bizarrely adopted an Australian accent in post-match interviews, and also claimed to have set up an all-Australian final against Robertson. In Sunday's finale, 'The Rocket' rattled in a 67 break during the opening frame before there was controversy in the next as he complained to referee Terry Camilleri over the re-spotting of the black. That did not stop him from registering runs of 66 and 52 to claim a 2-0 lead before breaks of 70 and 65 saw O'Sullivan take a 4-0 advantage into the mid-session interval. 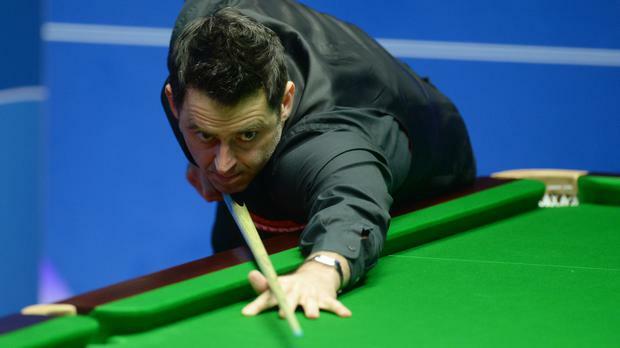 Robertson got on the scoreboard with a well-worked 65 in the fifth set before a brilliant 116 break saw O'Sullivan regain his four-frame initiative and 998 career century. A 120 clearance helped Robertson cut the deficit to 7-3 in the opening frame of the evening session, however O'Sullivan came within inches of securing the landmark moment in the 11th frame. O'Sullivan worked his way to build a neat 90 break but could not get position on the final red which was tight to the side cushion and his effort, while stretching with the rest, held up short in the jaws of the left corner pocket. Robertson responded to reduce the score to 8-4 but O'Sullivan eased to the 13th frame to put himself within one of victory. And 'The Rocket' claimed his 35th career ranking title and 1,000th century break in typical O'Sullivan style with standing ovation for every shot after surpassing the historic 100-point mark.